Abstract in German Language: Im Zuge des Crowdwriting Projektes für das neue Buch “Future of Work” wurde bei bene ein ausführliches Interview geführt, um Einsichten und Ergebnisse aus der Digital Business Transformation Forschung an der IMC FH Krems zu diskutieren. Hier ein Ausschnitt mit den Highlights. In the course of the book crowdwriting project with bene an extensive interview was conducted in order to discuss findings and insights from the Digital Business Transformation research at IMC University of Applied Sciences Krems. See an excerpt down here. In a nutshell:…DIGITISATION IS LIKE A SPEEDING TRAIN. COMPANIES THAT PROACTIVELY DEAL WITH CHANGE WILL SURVIVE AND MAKE A QUANTUM LEAP TOWARDS GROWTH”. A DIALOG WITH PROF. MICHAEL BARTZ. In the scope of your professorship at the IMC University of Applied Sciences Krems, you conduct research in the field of New World of Work.What exactly are you working on and researching? Since about 2000 we have found ourselves in a very accelerated Kondratieff Wave of Change. The main development waves that have led to this are, firstly, broadband; the emergence of smartphones, tablets, extremely intuitive devices and thus the digitisation around the world. All these developments lead to changes that pervade all aspects of our social, private, public and business lives. At the IMC University of Applied Sciences Krems, we concern ourselves, among other things, with the rules governing these changes and the “New World of Work”. Moreover, in long-term studies, we measure satisfaction, involvement, commitment and above all, productivity in the professional world. What key changes do you see coming? 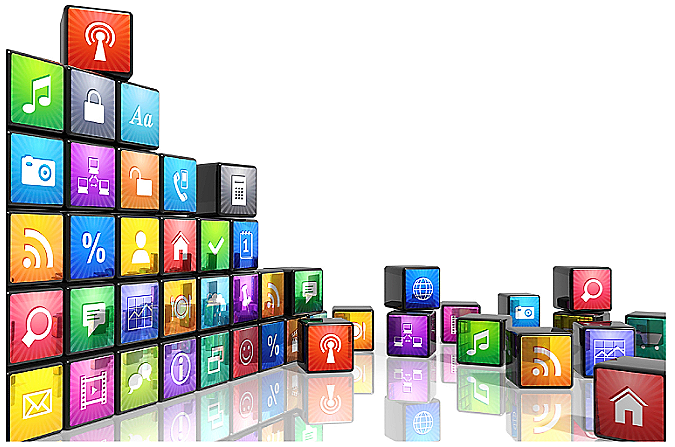 The advancing digitisation of our entire society is one of the key issues. In many parts of the world, we are just beginning. Africa, for example, is still disconnected; in Asia only 44% – still 1.8 billion people – are connected. In North America this number is 90% and in Europe approximately 75%. The further increase in internet penetration, especially in Asia and Africa, will lead to digital working environments in the future. This is, however, only a partial aspect of digitisation. An important point is that hitherto successful business models are increasingly being called into question. The simplest and clearest example is banking. Today, apart from checking and saving accounts, which are now being processed online, there are no additional products for the private customer sector. The branch model has become obsolete and because of this, the banks’ business model is changing fundamentally. 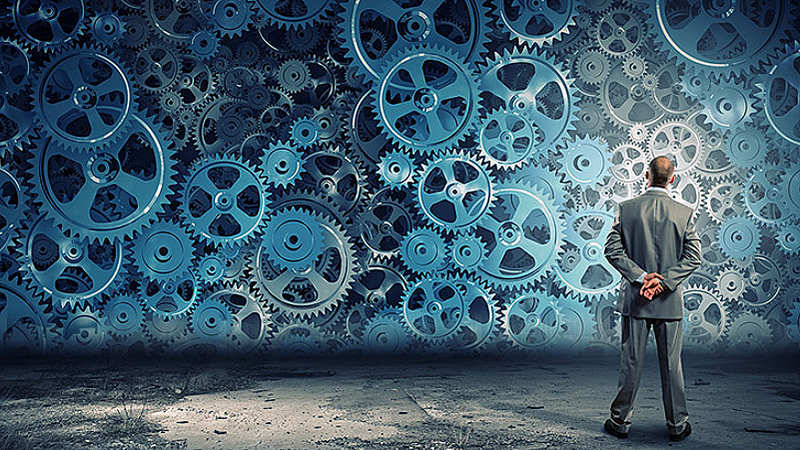 In a variety of industries, business models must also be adapted or completely rebuilt. Digitisation is like a speeding train. The companies that say they will take a look at it in due time have already missed the train. Companies that are concerned with the changes and try to tap into these developments, to shape something that creates a new dynamic, these companies survive and will make a quantum leap towards growth. For the majority of companies, it is therefore of the utmost importance to look closely at what happens and to consider in which direction and at which speed the changes must take place. In addition, the speed of change inward must also be adapted and proportioned in order to enable employees to keep up with this process. This can only be accomplished, however, by acting proactively. In the case of a nationwide digitisation, it’s estimated that in 2050, 40-65% of the jobs that exist today will no longer exist. What will be the requirements for employees in the future? There will be completely different jobs. In the 1950’s, for example, there were still stenotypists. It is quite normal that jobs will die out due to technological developments and new ones will emerge. We will, of course, find more of our jobs in the digital value chain and work less with our hands. It is certain that the production will be placed more and more in the hands of robots and automation. In the future, we will work side by side with robots and artificial intelligence. There is also a paradigm shift in the office. My colleagues today wont necessarily be sitting next to me. They will be scattered all over the world. There is a virtual collaboration across a global labour market. It will become different, more diverse and demanding and, to this extent, more human. Nevertheless, we must consider how to prepare people for the changes. There are core competences that will be needed in these new living and working environments. This also requires a paradigm shift in the school system. We need to move away from rigid memorization and towards flexible learning content that promote other competencies, such as analysing problems, self-organisation and structuring, as well as working and communicating emphatically with others. The Scandinavian reform countries and their school systems can be seen as examples here. How will most of the population earn money in the future? Who are the winners and who are the losers in the economic system? In the overall economic context, there will be new social models. For example, the unconditional basic income which, to put it simply, guarantees each person a life-long income of 1,500 euros without consideration; simply because they were born in Austria. This safeguard would lead to people developing differently; being able to pursue their interests and do what they have always dreamed of. The unconditional basic income is the safety net. The reform is financed by the reduction of the national quota, through the abolishment of administrative bodies. For example, a Public Employment Service (AMS) in Austria would no longer be needed as an administrative body; or other bodies for today’s small-scale administration of social benefits such as child allowance, study assistance etc. Through the dissolution of these authorities, appropriate budget resources are made available, which are then used to finance the unconditional basic income. In Austria, a massive number of employees in the public sector are retiring within the next 10 years. This offers a historically unique opportunity for social reform. Reforms such as the unconditional basic income would also work in organisations. How will working in a company change? Who will work for whom or will everyone be self-employed or a freelancer? The forecasts lean toward freelancing; more fluidity in the cooperation conditions such as outsourcing, crowd-working and click-working. Companies are therefore more and more understood as a talent cloud or coral reef, where employees and companies assemble for a certain project for a certain period of time and then move on. IBM, Microsoft, Google are examples of this. Which approach actually makes sense, and at which intensity, depends strongly on the respective industry. However, in our long-term studies, we measure that through flexibility and fluidity, companies can increase their productivity by 5 to 10% and reduce costs by up to 20 to 30%. Important prerequisites include, among other things, so-called game rules, which hold together the core elements of these networks and talent clouds. We research which game rules are important and which ones work very deeply using brain research methods. Because what rules are really effective and which are unnecessary, can really only be understood sustainably at this point – in the human brain. In any case, the flexibilisation of companies is not a walk in the park; that’s why research in this area is so critical to ensure the transformation of organisations and ensure investment in change. At the same time, companies are taking the lead in this direction. How far can this flexible restructuring of companies go? Up to self-organisation. One example: The company Tele Haase in Vienna has been successfully operating without an executive board for several years. Although the changeover caused massive employee and sales losses during the first three years, today the company has put these transitional losses behind it. Of course, the company has found new employees who are comfortable with the new working styles and feel comfortable without management. Such models of sociocracy, of self-organisation, function through rotating committees, such as marketing and product development committees, which are chosen for a certain period of time and whose composition is constantly, rhythmically changing. 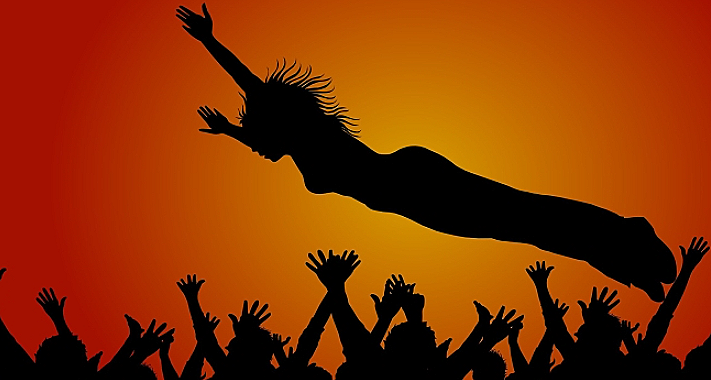 Exciting, this change in corporate governance from hierarchies towards democratisation. 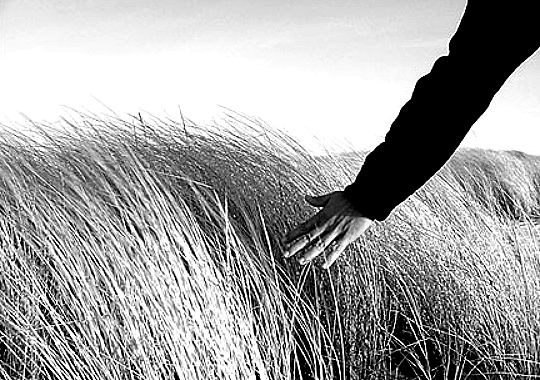 What is the driving force in the direction of democratisation and flexibility of companies? Strong hierarchically lead companies are monolithic and cumbersome in their culture. Today, however, we are no longer dealing with static markets and customer groups. Businesses are more likely to be confronted with fluid networks of customers that continue to change in size, in their demographic characteristics and in their needs. As a successful company, I need to develop an appropriate agility to ensure that I constantly adapt my value propositions, the products and services offered by me as a company, to the needs of the customer quickly and cost-effectively. Because in the end only one point counts: Only if the value proposition is correct, will the customers be willing to pay for it. What does this mean for the individuals in the businesses? Management of change is therefore becoming a core competency for companies, their executives and their employees. This is precisely what executives and employees should be able to co-develop accordingly and, in a permanent process, prepare themselves for the next changes and developments. Life-long learning is therefore a personal key task. If we assume that the next generation will have a life expectancy of 100 to 105 years, and are likely to work until at least the age of 80, it is foreseeable that flexible working and learning models will become popular.In this model, people will continue to develop; staying 10, 20, 25 years in a job profile, then building upon it in a new phase or beginning something completely new. It is not life planning, but rather life phase planning that is the focus. 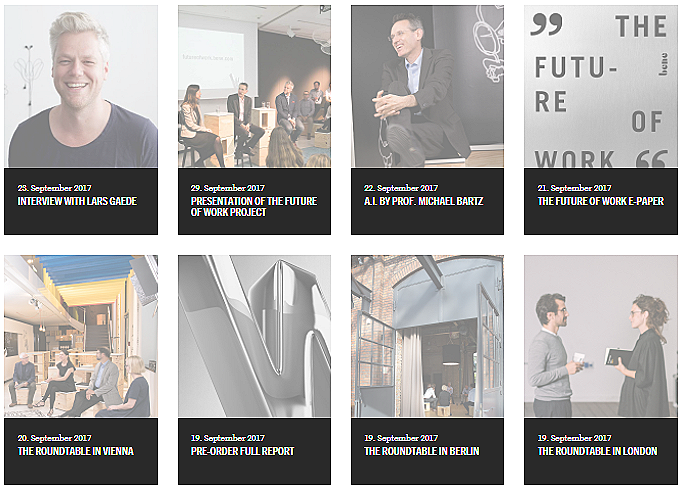 Abstract in German language: Derzeit entsteht als Crowdwriting-Projekt mit bene ein neues Buch zum Thema “Future of Work”. Wie das funktioniert, lesen Sie hier. 2017, a team of bene and I were gathering in order to brainstorm on writing up a new book featuring the topic “Future of Work”. Here it happened that the idea evolved to ‘crowdwrite” this book. Is there a more obvious thing to do especially when producing a book on the Future of Work topic? Actually, not. So the project came immediately into being. Here the progress and evolvement of the book can be observed and latest contributions of the expert team can be followed just in time. As well, an up-front e-paper is available and a fully fletched video providing insight into production process and highlights of expert contributions in the course interviews and workshops conducted. In January 2018 the book will finally be available. Physical copies will can be obtained in a limited hardcopy edition and in ebook format. – Please comment here below if you have got questions on your mind or if you would like to share your feedback. XING hat ein kostenloses eBook zum Thema “Neues Arbeiten” herausgebracht. XING Spielraum schreibt dazu: “Neue Führungsformen, veränderte Organisationsformen, mehr Mitbeteiligung – die Kultur unserer Unternehmen ändert sich. Was die Zukunft noch so bringt, zeigt das von XING herausgegebene Experten-Kompendium „Aufbruch in eine neue Arbeitswelt“ -das erste deutschsprachige Standardwerk zu New Work. Wie wollen wir in Zukunft arbeiten? Was müssen wir künftig anders machen, um sowohl die Innovationsfähigkeit der Unternehmen sicherzustellen als auch die Bedürfnisse der Berufstätigen nach mehr Freiheit, Autonomie und Flexibilität zu bedienen? Diese und viele weitere Fragen beantwortet des neue, von XING herausgegebene E-Book „Aufbruch in eine neue Arbeitswelt“ – das New-Work-Buch“. “…Als Viktoria in ihr Büro zurückkehrte, wartete Helene Rauscher, die HR-Leiterin bereits auf sie. Sie war vor kurzem ins Unternehmen gekommen, nachdem der vorherige HR-Leiter in Pension gegangen war. Ihr Lebenslauf war beeindruckend, unter anderem hatte sie bei mehreren Unternehmenstransformationen mitgewirkt. In einigen dieser Fälle ging es um die Einführung neuer Arbeitsformen, wie zum Beispiel Home Working. Für das Unternehmen war sie ein wirklicher Glücksfall, wie sich noch herausstellen sollte. Die Geschäftsführerin sah sie an und war gespannt, wie Frau Rauscher ihre vielen Erfahrungen einbringen würde. Diese startete mit ein paar allgemeinen Zahlen und Fakten zur Mitarbeitersituation. Als sie über die Fluktuation sprachen, fiel ihnen auf, dass die Werte in den letzten Jahren kontinuierlich gestiegen waren. Es waren keine massiven oder sprunghaften Steigerungen, aber ein sanfter negativer Trend war durchaus zu erkennen. Die HR-Leiterin hatte einige Analysen dazu mitgebracht, und gemeinsam betrachteten sie ein Tortendiagramm, das zeigte, dass die Fluktuation offenbar alle Bereiche des Unternehmens in ähnlichem Ausmaß betraf. Einzige Ausnahme war der Produktionsbereich, hier schien die Mitarbeiterzahl relativ konstant zu bleiben. Exit Talks. Helene Rauscher brachte durchaus frischen Wind ins Unternehmen, unter anderem durch ihre Anglizismen. „Man merkt, dass du noch nicht lange bei uns bist“, schmunzelte Viktoria in Gedanken und übersetzte den Begriff „Exit Talks“ für sich als „Ausstiegsgespräch“, also ein Gespräch, das die Personalabteilung mit einem Mitarbeiter führt, der das Unternehmen verlassen wird. „Zusammengefasst haben wir aus den Exit-Gesprächen Folgendes gelernt.“ Helene machte eine kleine bedeutungsvolle Pause, bevor sie weitersprach: „Die Mitarbeiter waren besonders unzufrieden darüber, dass die Arbeitsweise im Unternehmen zu starr und unflexibel ist, wie sie das mit eigenen Worten bezeichnet haben, und dass sie keinen Zusammenhang zwischen ihrer Leistung und dem ausgezahlten Gehalt beziehungsweise eventuellen Bonuszahlung gesehen haben.“ Die Worte schienen einen Moment im Raum stehen zu bleiben. Bevor Viktoria das Gesagte hinterfragen konnte, fuhr die HR-Leiterin fort. Die Begriffe „starr“ und „unflexibel“ beinhalteten auf den ersten Blick alles und nichts, wie Helene Rauscher eingestehen musste. Doch im weiteren Verlauf des Gesprächs kritisierten die Mitarbeiter, dass das Unternehmen der Nachfrage nach mobilem Arbeiten nicht nachgekommen war, die Leute wollten vermehrt außerhalb der Firma ihre Arbeit verrichten. Einzelne Vorgesetzte schienen dies als eine Art „Goodie“ an einzelne Mitarbeiter vergeben zu haben, was die Unzufriedenheit aber offenbar nur noch gesteigert hatte. Einerseits drang durch, dass nur einige wenige diese Vorzüge nutzen durften, während viele andere nicht in den Genuss dieses Privilegs kamen. Andererseits schienen selbst die Begünstigten weiterhin höchst unzufrieden zu sein. Sie sahen es scheinbar als ein grundlegendes Bedürfnis und sogar als ihr Recht an, mobil zu arbeiten, und waren daher richtiggehend verärgert, als man es ihnen als speziellen Vorteil verkaufen wollte. Außerdem verlangten sie vom Unternehmen ein entsprechendes Equipment, und auch der Ruf nach Kostenübernahme durch die Firma wurde laut. „Gib ihnen den kleinen Finger und sie wollen die ganze Hand“, wunderte sich Viktoria und fragte nach, um welche Kosten es sich dabei handle. „Hauptsächlich die Kosten für den Internetzugang“, antwortete die HR-Leiterin, „allerdings gab es auch Stimmen, die einen Heizkostenzuschuss und sogar einen Teil der Wohnungsmiete erstattet bekommen wollten.“ „Was für eine Unverfrorenheit!“, entfuhr es Viktoria. Doch die Frau Rauscher schien ein gewisses Verständnis für diese Ideen aufzubringen. „Das ist natürlich ein perfektes Thema für den Betriebsrat“, erklärte sie die Brisanz der Lage. „Wenn unsere Mitarbeiter von zu Hause arbeiten, kommt es womöglich zur Diskussion, dass wir unsere Kosten quasi den Mitarbeitern zuschieben. Prinzipiell nutzt der Mitarbeiter zum Beispiel den Internetanschluss zu Hause für rein private Zwecke – sollte sich das ändern, geraten wir eventuell in eine schwierige Situation, wenn wir uns nicht an den Kosten beteiligen. Und genauso verhält es sich mit Miete und Energie.“ Viktoria ärgerte sich trotzdem über diese Forderungen. „Wieso wollen sie unbedingt eine Vermischung von privat und beruflich?“, dachte sie, überlegte kurz und stellte dann genau diese Frage an die HR-Expertin. …und natürlich auch als klassische gebundene Ausgabe. – Im Herbst 2016 erscheint dann das nächste Buch zum Thema unter dem Titel “New World of Work Atlas”. Der New World of Work Atlas soll die Frage beantworten: “Welche Firmen machen denn schon New World of Work?”. Aus diesem Grund wird gemeinsam mit Springer Heidelberg eine Sammlung von Erfahrungsberichten von Unternehmen aus Österreich, Deutschland und der Schweiz im New World of Work Atlas zusammengestellt. Diese Sammlung ist erstaunlich umfassend, vielfältig, und es wird überraschen, welche Firmen bereits über Erfahrungen verfügen. “Die rasanten technologischen Entwicklungen in den vergangenen Jahren haben zu einem rapiden Anstieg von erhöhter Transparenz, breiter Partizipation und Beteiligung, Dezentralisierung, sowie allgemeiner Demokratisierung verschiedener Lebensbereiche in Wirtschaft und Gesellschaft geführt. Diese Phänomene werden in der Art und Weise sichtbar, wie wir uns informieren, zusammenleben, uns vernetzen – und nicht zuletzt, wie wir Arbeit organisieren.Dass wir uns bereits inmitten eines Transformationsprozesses befinden, zeigt nicht zuletzt die Debatte dieser Thematik im aktuellen Medienalltag und somit in der breiten Bevölkerung. So titelt z. B. die Frankfurter Allgemeine Zeitung im August 2014 „Wähl dir deinen Chef“ und berichtet über Unternehmen, die bereits wegweisende Schritte organisationaler Demokratisierung hinter sich haben oder diese angekündigt haben, wie z. B. Semco (Glasproduktion), Trumpf (Maschinenbau), HP (IT), Ebay (Online-Marktplatz) und Haufe-Umantis (Software). Ein prägnantes Beispiel für zunehmende Demokratisierung und Transparenz als gesamtgesellschaftliche und -wirtschaftliche Trends sind Bewertungsportale: Ein Großteil der Internetnutzer liked und bewertet Tag für Tag: Zeitungsartikel, Hotels, Ärzte, Professoren, Bücher u. v. m. Auch Arbeitgeber und Führungskräfte werden bereits im Netz bewertet. Die digitalisierte Generation trägt auf diese Weise das Wissen der Welt in vielerlei Portalen zusammen. Das Arbeitgeberportal kununu, auf dem Bewerber, aktuelle und ehemalige Mitarbeiter ihr Unternehmen bewerten können, ist mit momentan knapp 900.000 Bewertungen von über 200.000 Unternehmen ein schlagkräftiges Beispiel hierfür – Tendenz: steigend. Die drei Formen organisationaler Demokratie tragen zu einer gesteigerten Wettbewerbs- und Leistungsfähigkeit der Organisation bei, indem sie zu besseren Entscheidungen (z. B. durch verbesserte Wissensnutzung der Mitarbeiter, eine höhere Motivation, stärkeres unternehmerisches Denken), höherer Identifikation von Wissensarbeitern und einer Stärkung der Innovations- und Kooperationsfähigkeit (z. B. durch vermehrten Wissensaustausch und höhere Kreativität) führen. Sicherlich sind demokratische Elemente und Prozesse nicht immer über alle Ebenen, in allen Entscheidungsprozessen oder für alle Mitarbeiter einer Organisation sinnvoll, sondern nur, wenn langfristig auch Vorteile für Unternehmen und Mitarbeiter in Aussicht stehen. Dies ist beispielsweise dort der Fall, wo Kommunikationskosten gering sind und z. B. Kreativität, Flexibilität und verteiltes Wissen zur Lösung einer Aufgabe notwendig sind. Darüber hinaus ist es wichtig, demokratische Arbeits- und Organisationsbeziehungen nicht mit Organisationsstrukturen gleichzusetzen. Entgegen der Meinung, eine steile Hierarchie sei das Gegenteil von Demokratie im Unternehmen, fehlt oder verringert sich in einer demokratischen Organisation nicht zwingend die Hierarchie, bzw. deren Grad. Der Grad der Demokratie in einem Unternehmen, der Grad der Hierarchie und die Verortung verschiedener Unternehmenstypen sind nach Ansicht der Autoren voneinander unabhängige Dimensionen. Steve Jobs, der ehemalige CEO von Apple, galt beispielsweise als äußerst autoritärer und hierarchischer Vorgesetzter, genoss aber stets Zustimmungsraten von über 90% unter seinen Mitarbeitern und wäre somit voraussichtlich auch demokratische von ihnen gewählt worden. Das Buch „Das demokratische Unternehmen: Neue Arbeits- und Führungskulturen im Zeitalter digitaler Wirtschaft“ von Thomas Sattelberger, Isabell Welpe und Andreas Boes ist im September 2015 im Verlag Haufe-Lexware erschienen und wurde mit dem Preis „Managementbuch des Jahres 2015“ ausgezeichnet. Beiträge hochrangiger internationaler Experten aus Wirtschaft, Wissenschaft, Gesellschaft und Politik verdeutlichen, wie alle Unternehmen, auch Mittelständler und Konzerne, vom Trend zur Demokratisierung profitieren. BMW baut nicht nur coole Autos der nächsten Generation, sondern ist auch einer der innovativsten Arbeitgeber. Noch nie habe ich so eine rundum perfekte Einführung mobilen Arbeitens erlebt, wie in der Zentrale von BMW München. Alle Aspekte wurden bedacht und in der richtigen Reihenfolge im Transformationsprozess umgesetzt. Und die implementierten Regelungen und Spielregeln für mobiles Arbeiten sind einfach smart; sie erreichen die richtige Balance zwischen unternehmerisch erforderlich und realistisch/pragmatisch. Eine wichtige Säule hierbei ist der Grad des Vertrauens, der in die MitarbeiterInnen ex ante gesetzt wird. Das ist der hohe Grad an Pragmatismus der getroffenen Regelungen. Herausragend war auch die Rolle des Betriebsrates im gesamten Prozess. In gewisser Weise ist der Gesamtprozess vergleichbar mit der neuen Situation, dass Gewerkschaft und Industrie derzeit gemeinsam an einem Strang ziehen, was die Flexibilisierung von Arbeit in der Bundesrepublik Deutschland angeht. Ich hatte 2014 als Jurymitglied des Bundesverbandes Personalmanagement die Gelegenheit, tiefere Einblicke in die bundesweite Einführung der BMW-Mobilarbeit zu erhalten und in Berlin den ersten Preis des Personalmanagement Awards an BMW mitzuverleihen. Diese Begegnung hat tiefe positive Spuren bei mir hinterlassen und war auch mit der Grund, für den Start des neuen Buchprojektes “New World of Work Atlas” mit dem Springer-Verlag. Die verantwortlichen Fachstellen von BMW werden einen Erfahrungsbericht zu diesem Buch beitragen und gesammelte Erfahrungen auf diesem Weg teilen. Ich hätte mir das Buch ohne diese Beitrag nicht vorstellen können. Gestern war ich im Finanzministerium und habe noch mehr darüber gelernt, wie modern die Arbeitswelten im österreichischen Bundesministerium für Finanzen organisiert sind. Zeitlich und räumlich flexibles Arbeiten, entsprechende Technologienutzung, Fokus auf zielorientierte Führung bis hin zu New World of Learning sind nur einige der Kernthemen im Ministerium, über die ich von Ulrike Danzmayr, Gruppenleiterin Präsidium, gestern mehr erfahren habe. So kann man sicher sagen: das österreichische Finanzministerium ist eins der modernsten Ministerien in der EU und führend in Umsetzung neuer innovativer Arbeitsweisen. Das Ergebnis sind hohe Produktivität und schlanke Kosten. Die Kosteneinsparungen, die durch die Modernisierung der Arbeitsweisen in Richtung “New World of Work” in den letzten Jahren sind substantiell. Das Allerbeste zuletzt: Das Ministerium wird einen Erfahrungsbericht zum neuen New World of Work Buch beitragen, das Thomas Schmutzer, Andreas Gnesda und ich derzeit mit dem Springer Verlag vorbereiten. Das Buch trägt den Arbeitstitel “New World of Work Atlas”. Ziel des Buches ist, eine zentrale Frage zu beantworten, die ManagerInnen uns immer wieder stellen: Wer macht denn schon New World of Work? Der New World of Work Atlas soll diese Frage in Form einer Fallstudiensammlung anhand von Erfahrungsberichten aus der Industrie für Österreich, die Schweiz und Deutschland beantworten. Das österreichische Bundesministerium für Finanzen wird in seinem Beitrag auf New World of Learning fokussieren. In diesem Kapitel wird aufgezeigt, warum zur Modernisierung der Arbeitsweisen konsequenterweise auch Innovation beim Lernen und Wissenstransfer in der Organisation gehört. Das eine bedingt das andere. Und, dass sich beides allemal rechnet, das kann das Finanzministerium am eigenen Beispiel auch ganz klar aufzeigen. Mit “Rechnen” ist nicht nur die Kostenseite gemeint, sondern insbesondere auch die Nachhaltigkeit Wirkung von Investitionen in die Menschen und Arbeitsweisen im Ministerium. Denn eine Aussage von Ulrike Danzmayr hat mich gestern ganz besonders beeindruckt: Anders als in der freien Wirtschaft, ist die Mitarbeiterbindung natürlich durch den Beamtenstatus auf Langfristigkeit ausgelegt. D.h. jede Investition in MitarbeiterInnen wirkt um ein Vielfaches länger als in der freien Wirtschaft. Dieser Aspekt ist mir erst gestern in seiner ganzen Konsequenz klar geworden. Die Implikationen für die Bewertung von HR-Investitionen im öffentlichen Bereich sind enorm. Dieser Artikel ist der Start für eine ganze Artikelserie, in der wir über Fortschritte und Erkenntnisse im Entstehungsprozess des Buches berichten. Sollten Sie Vorschläge haben, welche Unternehmen im New World of Work Atlas ebenfalls unbedingt enthalten sein sollten. Oder sind Sie selbst ManagerIn eines New World of Work Unternehmens und habe Interesse, im Buch über Ihr Unternehmen zu berichten. Dann melden Sie sich bitte bei mir: michael.bartz@fh-krems.ac.at. Ich danke meiner Absolventin Julia Fischer, für die brillante Idee, über wichtige Gedanke und Aussagen oder Entdeckungen, auf die ich im Entstehungsprozess dieses Buches stoße, immer wieder zu berichten. “Planbarkeit war die Schlüsselqualifikation in Zeiten der Industriekultur. Prozesse und Normen, Command & Control gehörten zwangsläufig dazu. Doch diese Zeiten sind schon lange vorbei – und kommen auch nicht wieder. …mehr dazu in den Wirtschaftspolitischen Blättern 2015/1 und auch demnächst hier. Die neuen Arbeitswelten bilden einen besonderen Schwerpunkt im Buch, unter anderem mit einem Beitrag des Blogautors Michael Bartz und von Thomas Schmutzer. Wie kann vermieden werden, dass New World of Work Transformationen sich kontraproduktiv auswirken? Die Antwort liegt in einer interdisziplinären hoch integrierten Vorgehensweise. Das heißt, alle Funktionsbereiche des Unternehmens müssen am Transformationsvorhaben mitwirken und an einem Strang ziehen. Kein Bereich kann die Transformation allein bewirken. Es kann also die Verantwortung zum Beispiel nicht in den Personalbereich delegiert oder die IT-Abteilung allein verantwortlich gemacht werden. 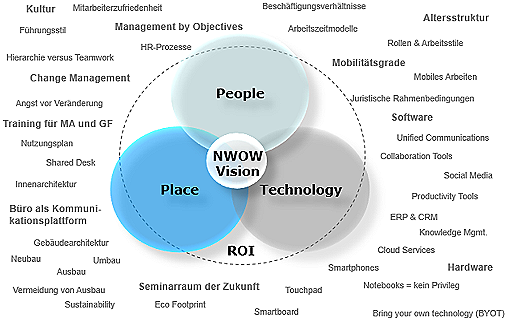 Denn New World of Work Transformation zum Unternehmen der nächsten Generation funktioniert nur im Zusammenspiel von Veränderungen in den Dimensionen People, Place und Technologie, und zwar als orchestriertes Transformationsprogramm, dass Veränderungsmaßnahmen in allen drei genannten Veränderungsdimensionen eng verknüpft im Unternehmen vorantreibt. Was hinter den Begriffen People, Place und Technologie inhaltlich sich verbirgt und welche Hebel anzusetzen sind, wird in den folgenden Abschnitten näher ausgeführt. Wenn neue flexible Arbeitsformen Einzug halten sollen, dann betrifft es zu allererst die Menschen im Betrieb, die Systeme, in denen sie arbeiten (z.B. Prozesse und Aufbauorganisation) und die Methoden, die angewendet werden. Technisch zu bewältigen und daher im Verhältnis einfach zu bewältigen, ist die Schaffung der grundsätzlich erforderlichen rechtlichen Rahmenbedingungen. So gilt es eine Betriebsvereinbarung zu schließen, die die Art und Weise der Nutzung neuer flexibler Arbeitsformen regelt. Hierbei gilt es zwei Grundformen zu unterscheiden: Entweder wird eine Betriebsvereinbarung geschlossen, die z.B. räumlich flexibles Arbeiten tageweise zulässt. Oder die Betriebsvereinbarung wird umgekehrt ausgerichtet: Die MitarbeiterInnen werden aufgefordert, überwiegend mobil zu arbeiten und das Büro nur selektiv zu nutzen. Dies ist eine Frage der grundsätzlichen Unternehmenspolitik, die hinter einem New World of Work Modell stehen soll. Im Zusammenhang mit der Schließung einer Betriebsvereinbarung werden dann aber auch sehr bald die rechtlichen und insbesondere arbeitsrechtlichen Limitationen klar. Das Arbeitsrecht im europäischen Raum hinkt den Anforderungen räumlich und zeitlich flexiblen Arbeitens stark hinterher, und es fällt zunehmend schwer, in den neuen Arbeitswelten Arbeitsrealität und arbeitsrechtliche Rahmenbedingungen zu vereinbaren. Die Beispiele insbesondere großer Unternehmen, die teilweise bereits über 10 Jahre auf flexible Arbeitsformen setzen, zeigen, dass es möglich ist, hier Brücken zu bauen. Ein Forschungsprojekt des New World of Work Forschungszentrums an der IMC FH Krems mit der österreichischen Arbeiterkammer in Niederösterreich ist hier wegweisend, da es erlaubt, in den nächsten zehn Jahren Erkenntnisse zu generieren, die in die Weiterentwicklung des Arbeitsrechts einfließen und diese wesentlich mit beeinflussen können. Im Rahmen dieses Projektes werden in den kommenden drei bis vier Jahren in der Organisation der Zentrale der Arbeiterkammer Niederösterreich schrittweise Arbeitsweisen flexibilisiert (vor allem räumlich flexibles Arbeiten) und Führungsmethoden daran angepasst, es wird die Nutzung innovativer Innovationstechnologien intensiviert (Unified Communications, Kollaborationsplattformen, Social Media) und eine nach neuesten Erkenntnissen geplante Unternehmenszentrale bezogen. Kernstück dieses umfassenden Transformationsprogramms ist die Messung und genaue Dokumentation der Veränderungen in der Organisation, der Fortschritte und Gewinne durch neue Arbeitsformen und der Grenzen der Machbarkeit und der Lernerfahrungen. Dies wird mit Hilfe eines umfassenden „Impact Measurement“ Forschungsprojektes sichergestellt, dass durch das New World of Work Forschungszentrum der IMC FH Krems über den Zeitraum der Transformation in Kooperation mit der Technischen Universität Wien durchgeführt wird. Mithilfe des Impact Measurement werden die Auswirkungen der New World of Work Transformation auf das Unternehmen und die Menschen im Unternehmen laufend evaluiert und dokumentiert. Der hohe Detailgrad der Messmodelle ist einzigartig und auch die Tatsache, dass hier ein vollständiger Pre-Post-Vergleich sichergestellt wurde, der einen sauberen Vergleich des unveränderten Ursprungszustandes mit Veränderungszuständen in den Folgejahren erlaubt. Aufgrund dieses Forschungsdesigns ist es möglich, sehr tiefe Einblicke in den Veränderungsprozess gewinnen. Aus den Ergebnissen lassen sich in einigen Jahren Richtlinien für die Einführung und Gestaltung neuer Arbeitsweisen in Betrieben sowie Empfehlungen für die Entwicklung arbeitsrechtlicher Rahmenbedingungen ableiten. “Die Vorteile, die durch ganzheitliche New World of Work Konzepte für die Unternehmen und ihre MitarbeiterInnen erzielt werden, sind substantiell. Deshalb setzt eine zunehmende Zahl von Firmen die Weiterentwicklung der eigenen Arbeitsweisen. Vorreiter waren Technologieunternehmen wie Google, HP, IBM Microsoft, Siemens oder Ricoh. Doch inzwischen hat die neue Welt des Arbeitens alle Industrien erfasst, und es lassen sich kaum noch Branchengrenzen für neue Arbeitsweisen feststellen. Sogar Industrien, die mit hochsensiblen Daten im Tagesgeschäft umgehen müssen, zählen bereits zu New World of Work Unternehmen der nächsten Generation. Beispiele sind die Rabobank in den Niederlanden oder die UniCredit Bank Austria in Österreich, die schrittweise die internen Arbeitsweisen in Richtung New World of Work weiterentwickelt. Der UniCredit Bank Austria CEO Willibald Cernko dazu: „Unsere Bank setzt auf neue zeitgerechte Betreuungsmodelle für unsere Kunden unter Nutzung modernster Technologien. Das wird sich auch in den internen Arbeitsweisen widerspiegeln“. – Die Veränderung der Arbeitswelten erfasst inzwischen alle Branchen und Unternehmensgrößen und wirkt sich auf die Wirtschaft und die Gesellschaft aus (s. Abbildung oben). Anpassung an sich wandelnde MitarbeiterInnenerwartungen, insbesondere in der Gruppe der Digital Natives (vgl. Burgmann, 2012, S. 6), angesichts sich des sich weiter verschärfenden Fachkräftemangels. 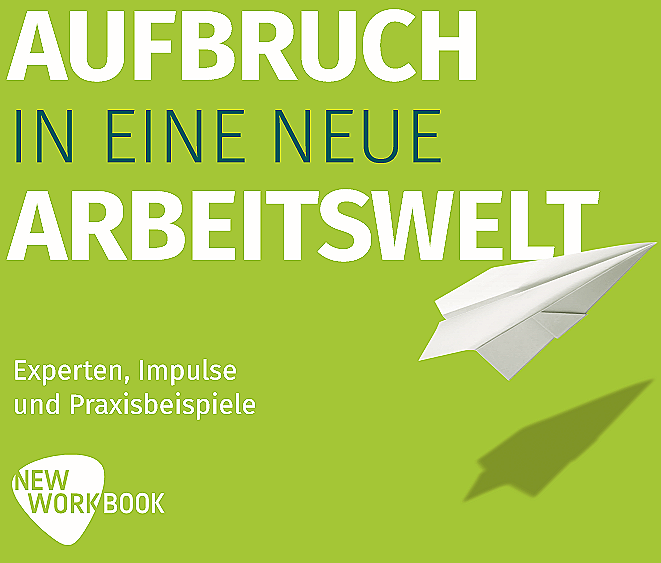 Der Buchbeitrag erscheint unter dem Titel “New World of Work Transformation- Herausforderungen auf dem Weg zum Unternehmen der nächsten Generation”. 2Unsere Arbeitswelten verändern sich derzeit grundlegend. Ein wesentlicher Treiber dahinter sind neue Informationstechnologien, die Kommunikation und Zusammenarbeit auf Distanz so einfach und kostengünstig, wie noch nie zuvor, ermöglichen. Begünstigt durch diese Entwicklung breiten sich vor allem zeitlich und räumlich flexible Arbeitsweisen zunehmend aus. Immer mehr Menschen haben die Möglichkeit, außerhalb des Firmenbüros mobil zu arbeiten, z.B. im Home Office, und sich auch zeitlich selbständiger einzuteilen. Mit an der Spitze der Entwicklung in der EU steht unter anderem Großbritannien; hier sind laut Institute of Leadership & Management in ca. 50% der Unternehmen neuartige flexibilisierte Arbeitsformen bereits Standard (vgl. Institute of Leadership & Management, 2013, S.4.). 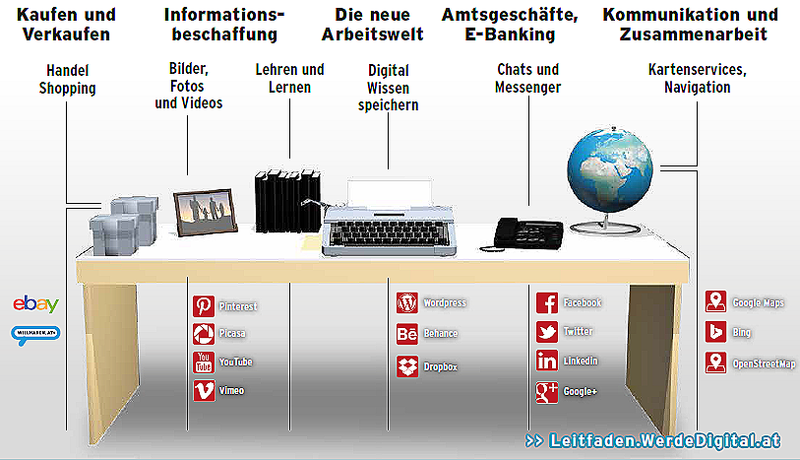 New World of Work bedeutet jedoch mehr als nur flexibilisierte Arbeit. 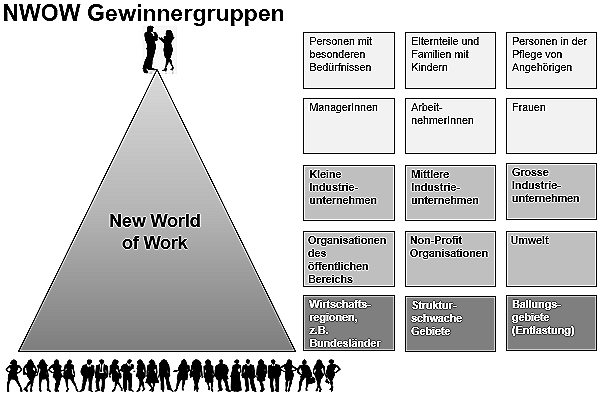 New World of Work stellt sich in Unternehmen vielmehr als ganzheitliches Konzept von Arbeitsinnovation in den Dimensionen People, Place und Technology dar (s. Abbildung oben). Vereinbarkeit von Kind und Beruf – Insbesondere flexibles Arbeiten, wie z.B. Gleitzeit, mobiles Arbeiten, Job Sharing, hilft Müttern und Vätern Kind und Beruf besser miteinander zu kombinieren. Vereinbarkeit von Kind und Karriere – Gerade Frau sind oft nach der Karenz von der Karriere wie abgeschnitten. Es gelingt in einer großen Zahl von Fällen einfach nicht mehr der Wiedereinstieg in den Karrierepfad z.B. Richtung Führungskraft. Auch hier helfen neue innovative Arbeitsmodelle. Vereinbarkeit der Pflege von Angehörigen und Beruf – Pflege von Angehörigen ist ein Thema von zunehmender Wichtigkeit für die meisten von uns. Pflegekosten steigen und sind für viele nicht mehr finanzierbar. Die Alternative ist die Pflege in der Familie. Doch hier kommen folgende Faktoren zusammen: Aufgrund der demographischen Entwicklung (Einkindfamilie) ruht die Pflege von Angehörigen auf immer weniger Schultern. Und aufgrund der steigenden Lebenserwartung steigt auch die Wahrscheinlichkeit von Pflegefällen in der Familie und die Pflegedauer. Gerade flexible Arbeitsmodelle und Zeitwertkonten helfen, auch diese Lebensphase zu meistern. Vereinbarkeit von Behinderungen im engeren und weiteren Sinne und Beruf – Gerade flexibles Arbeiten und die Ausschöpfung der Möglichkeiten moderner IT-Lösungen ermöglichen es Menschen mit gesundheitlichen Einschränkungen noch barrierefreier am Berufsleben teilzunehmen. Leben außerhalb der Ballungszentren – Wenn Arbeit nicht immer und ausschließlich in einem Firmenbüro stattfinden muss, dann gibt dies auch Menschen, die ihren Lebenskontext außerhalb der Ballungszentren nicht aufgeben wollen, einen verbesserten Zugang zum Arbeitsmarkt und vor allem auch Zugang zu adäquaten beruflichen Möglichkeiten in ihrem heimatlichen Lebensumfeld. Neue Erwartungen der Digital Natives – Am anderen Ende der demographischen Skala stehen der Berufswelt ebenfalls ganz andersartige Erwartungen gegenüber. Das sind die Erwartungen und das geänderte Wertemodell der ca. ab 1980 Geborenen. In dieser Generation, die schon ca. 30% der Beschäftigen ausmacht, stehen Werte wie “Selbstverwirklichung” über dem Bedürfnis zum Beispiel von “Sicherheit”. Das zeigt sich auch in den Lebensläufen dieser Generation: Höhere Jobwechselfrequenz, Multijobmodelle. Aber auch die Arbeitsweise im Unternehmen geht diese Generation anders an. Hier braucht es eine Kombination von Lösungsbausteinen aus dem New World of Work Package, um als Arbeitgeber für die Generation attraktiv zu sein – sprich, die richtigen Talente anzuziehen und zu binden. Arbeiten 50+ und Übergang in die Pension – Derzeit funktioniert unser Lebensarbeitsmodell sehr binär. Vollgas bis zur Pension und dann schlagartig auf Null herunter. Neue innovative Arbeitsmodelle tragen dazu bei Beruf und Privatleben besser ab 45 oder 50+ besser aufeinander abzustimmen. Denn statistisch zeigt es sich, dass gerade ab ungefähr diesem Alter die Anforderungen an das Arbeitsleben sich wieder grundlegend wandelt und eine neue (sehr reife und schöne) Lebensphase für viele beginnt. Insbesondere Zeitwertkonten oder Lebensarbeitszeitmodelle sind im New World of Work Gesamtpaket hier ein wichtiger Lösungsbaustein, um diese Lebensphase und den Übergang in eine spätere Pension fließender und smarter zu gestalten. In der Bundesrepublik Deutschland lassen sich inzwischen sogar Guthaben aus Zeitwertkonten zwischen Firmen übertragen. Damit können diese Modelle endlich skalieren und sind breitentauglich. Gesundheit – Studien zeigen inzwischen klar, New World of Work bringt gesündere Arbeitsweisen mit sich (siehe auch Wellbeing Blog). Zeitlich und räumlich flexibles Arbeiten und neue innovative Bürodesigns tragen unter anderem dazu bei. Firmen, die auf New World of Work setzen, bieten ihren MitarbeiterInnen eine Chance auf ein längeres Leben und ein qualitätsvolleres Leben, d.h. eine weitaus höheren Anteil dieser Jahre auch wirklich gesund und mit Qualität zu leben.